Update: Body found near dam. Click here to read. 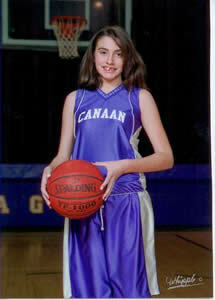 The FBI has joined in the search for a missing 11-year-old girl from New Hampshire. Celina Cass was last seen Monday nigh around 9:00 p.m., as she was going to bed. When her family went to wake her up on Tuesday morning she was not there. The FBI will join the New Hampshire and Vermont state police and the New Hampshire Fish and Game Dept. Currently they are searching on the Connecticut River about ¼ of a mile from West Stewartstown, where Celina lives. Authorities also searched the woods behind an apartment and a parked pickup truck across the street from Celina’s home. 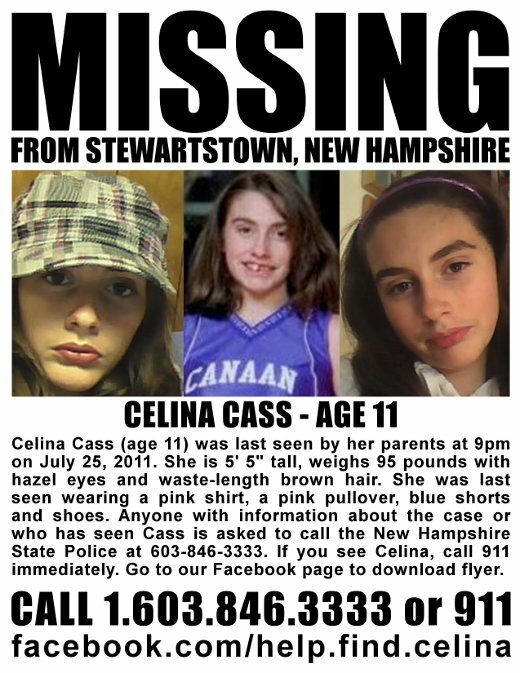 “At this point, I would like to reiterate, that we are asking for the public’s help and the media’s help to safety locate and bring home Celina Cass. We believe that the media and the public is our best ally, ” said Kieran Ramsey, G/S of the New Hampshire FBI. Celina is 5’5″, 95 pounds, hazel eyes and waste-length brown hair. She was last seen wearing a pink shirt, a pink pullover, blue shorts and shoes. If you have any information, please call the New Hampshire State Police at 603-846-3333.